One of our adventure days was spent exploring a small portion of Pacific Rim National Park. We began by walking the short 0.8 km boardwalk path at the the Bog Trail. 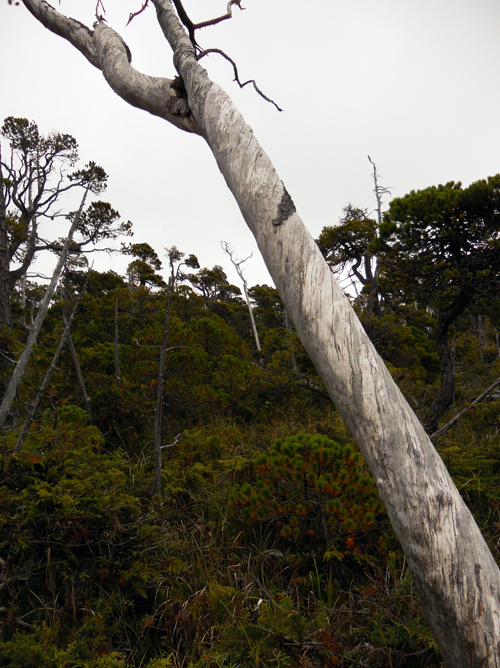 The saturated soil has created an other-worldly landscape of stunted trees, mosses and interesting plants. We moved onto the Kwisitis Visitor Centre which provides an overview of the cultural and natural history of the region. Lunch was eaten at the Wickaninnish Restaurant located at the centre. If you can, wait for a window table. 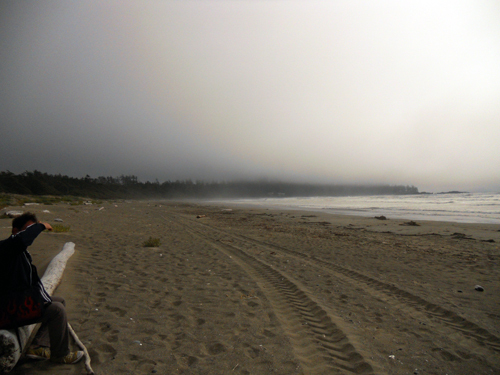 The ocean view is amazing; the fog rolled in and created the most incredible light while we were there. We also spent a bit of time on Wickaninnish Beach and South Beach, a smaller pebble beach accessed by a trail behind the centre. Wickaninnish Beach. The day we were there was a backhoe on the beach clearing invasive grasses. 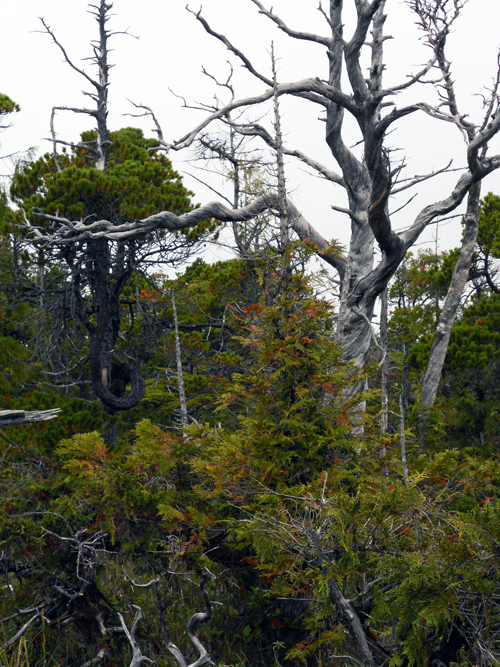 The conditions at the Bog seem to create trees that grow in a twisted fashion. Many of these bark-less trees dot the landscape.